Over here at Book Box Club HQ we are gearing up for our October box, I can’t believe it’s already time to start checking our sellotape and packing shred stocks! 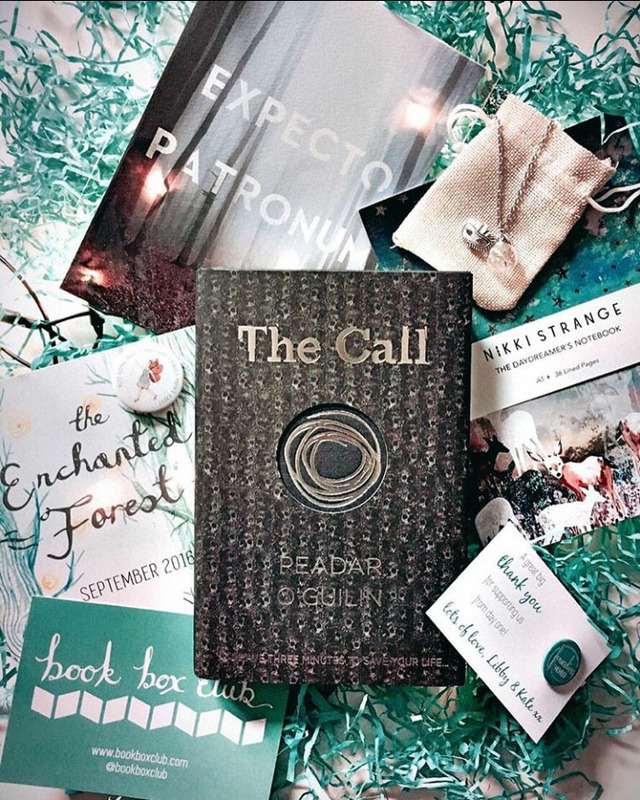 In the meantime we have been loving seeing all of your amazing unboxing videos and photos of items in our Enchanted Forest September box. We are so glad you enjoyed our very first box and there is something so surreal about seeing the little box we researched, put together, packaged and posted finally reach its new home! Thank you so much to all of you for subscribing, liking, retweeting, booktubing, blogging and commenting about Book Box Club; it means a lot. 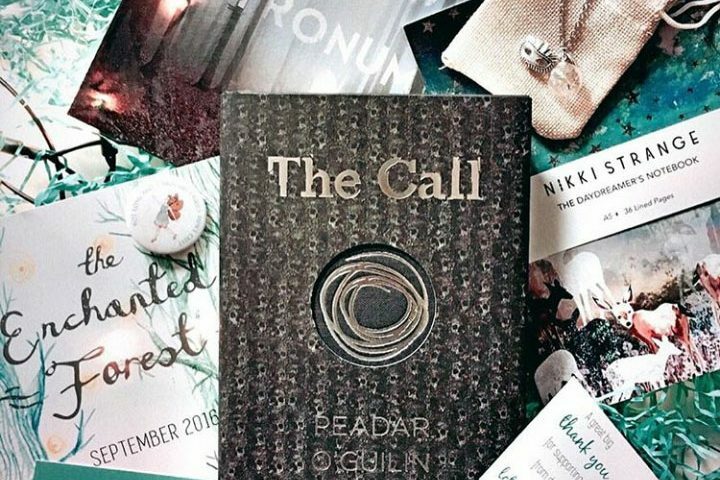 We can’t wait to discuss the brilliant The Call by Peadar O’Guilin at our members only book group towards the end of October. I have a feeling you are going to love it! If you like unboxing videos, and who doesn’t? 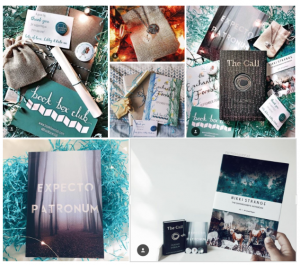 (I swear, I’m obsessed with watching people open their post for some reason) check out these Book Box Club unboxing videos from: Amber at Milelongbookshelf, Lucy the Reader, CaseyAnnBooks, Laura @lifeisabookblog, Anna @aliterarypotion and @book_roast . We are huge BookTube fans (although we haven’t set up our own channel…yet) and I feel like we’ve been watching/chatting with some of these girls forever. Founding Member Badge – To affirm your status as one of the original members of Book Box Club. Bookish goodies – From our friends at Faber & Faber, Hachette and Penguin Random House. If you like the look of all the goodies in our September box then check out our recent blog about what we have coming up in October’s parcel (including fantastic crafter Meraki Candles). The theme will be The Freedom Squad and I guarantee there will be even more bookish goodies and a brilliant thought provoking page turner to get your teeth into. October boxes are on sale now but do not leave it too late to subscribe. Once we sell out we won’t be able to get our hands on any more. Do remember to keep tagging us in any of your unboxing videos or item photos, we absolutely love seeing you use our box items. It makes us feel so lucky to have the chance to spread the Book Box Club love! Happy bookish weekends to you all.